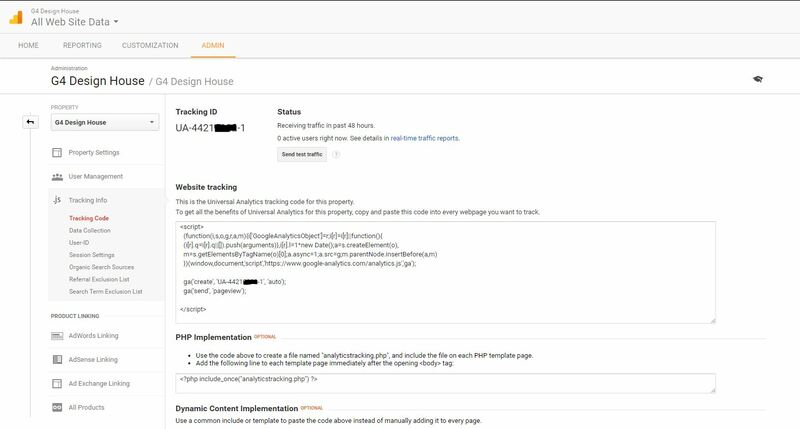 After building and launching your new website, one of the most important things you can do (besides marketing) is setting up a Google Analytics account so that you can track and monitor website traffic. Assuming you are taking the steps to drive traffic to your website, whether is SEO, PPC or some other type of marketing, it will be extremely important for you to monitor the results. Knowing where your traffic is coming from, what party of your site they like the most, how long the stay for and even if the convert into a lead will let you know if a campaign is working for you or not or if you need to make some tweaks in order to optimize its performance. This will save you time guessing what is working or what isn’t and ultimately increase your ROI (Return On Investment). Creating a Google Analytics account is very easy to do, but for those unfamiliar who haven’t done it before we have created a short little video (below) to show you how easy it actually is. We created this tutorial on the assumption that you already have a gmail account for your business. If you do not you can visit this post on How to Create a Gmail Account For Your business. Your Google login information is universal for all Google owned products so if you are already logged into your gmail account once you get to the main page for Google Analytics its as easy as clicking the login button and it will do the rest for you. You will land on a page that looks just like this one below. All you have to do is fill in the 3 fields regarding the account name and url. Choose your industry and time zone, then hit submit. That’s it! You will land on this page here that will give you the code. If your website is an HTML site and not WordPress, you (or developer) will use the script code and place it in the header / Footer of the site or as it shows above you can place it in the body on each individual page. If you are using WordPress is much easier. Just install one of the available plugins that is compatible with your website and there will be a field that will simply require the UA Tracking ID. Just copy and paste it and then save it and you’re all set! Let us know if you have questions about this post or anything else you would like to learn about development or marketing and we’ll try and post something on it very soon. PreviousPrevious post:How to Create a Gmail Account For Your BusinessNextNext post:Are We Ready For Flying Cars? It’s Been Our Dream For Decades.